Women and men considering plastic surgery in Austin, TX, often look for reviews written by past plastic surgery patients before choosing a surgeon. These impartial reviews provide insight into the patients’ experiences at The Piazza Center and can supplement other research you may have done to find the best plastic surgeons in the Austin area. Our surgeons, Dr. Rocco Piazza and Dr. Marcelo Antunes, are both board&dash;certified and enjoy excellent reputations thanks to the results they create and the care they provide. Dr. Piazza specializes in cosmetic breast surgery and body contouring procedures, while Dr. Antunes is a facial plastic surgery specialist. Our surgeons are proud of the work they've done, and so are their patients. After reading the reviews, you can request a consultation with either Dr. Piazza or Dr. Antunes using the online form. Or give our office a call at (512) 288-8200 and our friendly staff can help schedule an appointment. Best decision I ever made to have Dr. Piazza replace my 20-year-old implants. His office staff are wonderful to deal with and very professional. He is concerned and caring and never makes you feel rushed. After surgery, they even send you home with a goody bag of soup and comfy socks! I wouldn’t go to anyone else after finding Dr. Piazza and would highly recommend him! 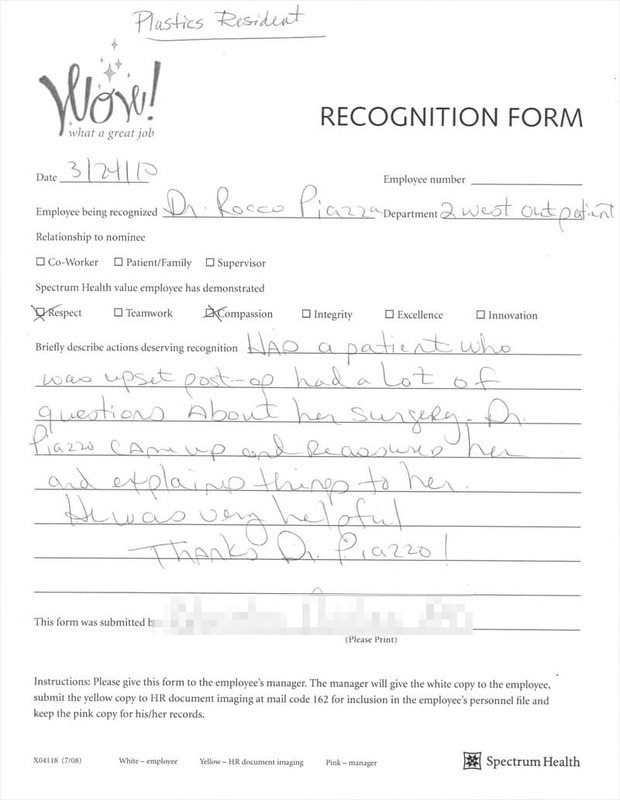 Nothing but wonderful things to say about Dr. Piazza and his staff. I had several procedures done at one time and the results are even better than I could have ever imagined. He is a true artist. His staff has been very attentive to all of my questions and any concerns that I have had. I would highly recommend Dr. Piazza and his staff. Most Amazing Doctor in Austin! I went to several surgeons before I saw Dr. Piazza and I always felt like just another appointment in their day. One surgeon never even made eye contact with me the entire appointment! That all changed the moment I stepped into Dr. Piazza's office. Within 5 minutes of meeting Dr. Piazza I knew that he was the right surgeon for my tummy tuck, breast lift and augmentation. The care that Dr. Piazza gives his patients is unmatched by any other doctor I have seen. His staff is so kind and I never felt like just another appointment to them. They genuinely care about you and are invested in your wellbeing during the entire process. I really don't have enough words to say how much I appreciate all the things Dr. Piazza and his staff did for me. If you are trying to decide what surgeon is best for you, you absolutely need to go to Dr. Piazza for a consultation! I could not be happier with my results! I selected Dr. Piazza for my tummy tuck with hernia repair procedure after countless consultations with various plastic surgeons in the Austin area. Dr. Piazza was kind and sincere; he spent a great deal of time talking about the procedure and listening to my objectives. His staff was professional and genuinely nice. I am 6 weeks after surgery and absolutely amazed and delighted with the results. The entire process was wonderful. My advice is to at least consult with Dr. Piazza before you have any "procedure" done elsewhere. You will be amazed! Absolutely love The Piazza Center. A tranquil spa environment with extraordinary staff who go above and beyond to make sure all your needs are met! The employees are more like family. They truly care about my experience and results and always make me feel so comfortable. Dr Piazza did a chest reconstruction from damage done by a botched gynecomastia surgery I had received from another Doctor. Dr Piazza’s work is amazing! Much better than expected and am so happy I decided to go with him as my doctor. I’m still in shock that something that had made me feel so insecure for the past 10 years he fixed in 3 hours. This is the man for the job if you are shopping around for a plastic surgeon. Words can’t express how wonderful this experience has been. Thank you, Dr Piazza and Staff! I went to Dr. Piazza the first time for Breast Augmentation in 2016. I chose the Piazza Center and Dr. Piazza for a lot of reasons, but the top reasons are I loved how he took his time and explained everything step by step. He was patient with me, he encouraged me to ask questions, he took the time to learn about me and my family and made me feel at ease. He has such an amazing demeanor! He has an uncanny ability to make you feel comfortable with him and comfortable with the procedure you are having. I have so much faith in Dr. Piazza's ability and his staff that I went back this year, 2017, for liposuction and fat transfer. Again, I chose Dr. Piazza for all the reasons above but mostly because I TRUST him. I trust him to be honest, open, and professional! He makes you feel like family! I just LOVE him and his staff!!! I would recommend him to everyone and anyone who is seeking plastic surgery or advanced skin care! Dr. Piazza and his staff delivered excellent customer service and I couldn't be happier with my breast augmentation procedure. I am about 6 months post op and have been thrilled with the results. I felt the entire process went very smooth from my first appointment with Megan to my most recent follow up with Dr. Piazza. Bonus! I received a dermaplaning session (I added the Hydrafacial service) and I was really happy with the results as well. I also had a great meeting with Samantha and have really enjoyed the skin care products I was recommended. Overall, I felt the staff made sure I was 100% comfortable with my procedure and follow up care. I also liked how I paid up front (12mo no interest cc offered through their website) and I don't have to worry about payments for any of the follow up visits....just convenient. One of the best choices I've made for my body in a long time. Thank you, Dr. Piazza. The staff and Dr. Piazza were very nice and knowledgeable and always went out of their way to help and answer questions to put my mind at ease even after hours once. It made me feel comfortable to be a patient under their care. Dr. Piazza is not only a great surgeon, but probably the best Dr. I have run across. He did implants on my wife and fixed her midsection due to extreme weight loss. The results were amazing. He took time with me after her surgery to go over everything, checked on her during recovery and even called me later that evening to check on her. He is a true artist when it comes to his work. The last part blew me away. I have never had a surgeon personally call the same day to check. If things go wrong its always at night. So getting this call in the evening was terrific. I rarely do reviews. My wife was hot before the surgery, now she is super hot. Love the place and it’s amazing staff! They are friendly and professional and make you feel like you’re one of a kind. Dr. Rocco Piazza is by far the most talented Plastic Surgeon in Austin. He has a stellar team working with him and between all of them, I have had a fantastic and seamless experience. He is very professional and has a gentle, compassionate bedside manner. During my first consultation, he and his assistant, Jennifer, were very thorough in their explanations and they helped me choose the best and most appropriate options for me. From the pre-op vitamins goody bag to the post-op fuzzy socks gift bag, Dr. Piazza and his team made sure I was completely prepared for the surgery and put any fears I had at ease. It has only been two weeks since my surgery and I have felt fantastic literally since day one. Every day my results get better and better and I find myself giddy when I look in the mirror! Thank you, thank you Dr. Piazza for your miracle hands and talent...hands down you are the best! If anyone in Texas and needs a plastic surgeon recommendation, I highly recommend Dr. Rocco Piazza in Austin! He is so kind and held my hand through the process and answered any questions I had. He also has a great team at his plastic surgery office and at the surgery center. They provided everything I needed before my surgery from vitamins to necessary prescriptions to scar cream. My favorite part was waking up after surgery in PACU and his team gave me a goody bag to take home with fuzzy socks, jingle bells for my caretaker to hear me, post card instructions, and a thank you card from the team. For something as life changing as surgery, it's important to feel taken cared of as a patient. I've never been on this side as a patient since I am a nurse myself. Dr. Piazza and his team go above and beyond to treat each patient like gold/VIP status. I look forward to every post op visit I have with him. I never liked surgery, or doctors or offices. You could say I was terrified when I went in to have a few procedures done. Today was my third post op visit and I can honestly say I ended up having the best medical service I have ever had through this process. I have never been to an office that was so professional but warm and snazzy all at the same time. Every worker there is exceptional. Dr. Piazza cured any fear of doctors or procedures I had. Best decision I have ever made. And I will definitely be going back. I wish I could give ten stars! Dr. Piazza and his whole staff are the best in Austin. They calmed my nerves and ensured me that me that my breast reconstruction after mastectomy would be safe and have excellent results. They were right! Dr. P also worked great with my breast surgeon which I believe added to the success and lessened the chance of setbacks. I'm a year past my final reconstruction surgery and ready for boating in my bikini again! Thank you! Dr. Piazza and staff are extremely personable, yet very professional, and strive to see you attain your goals. They offer multiple options to assist you. Whether topical or surgical, their desire is to help with whichever option you are most comfortable choosing. Highly recommend. Dr. Piazza and his staff are the best! I've never had plastic surgery before but after naturally losing 110 pounds, the excess skin needed to be addressed. From the first phone call with Megan to my first post-op appointment with Dr. Piazza and Heather yesterday, I have felt important, cared about, and safe. I can't say enough good things. 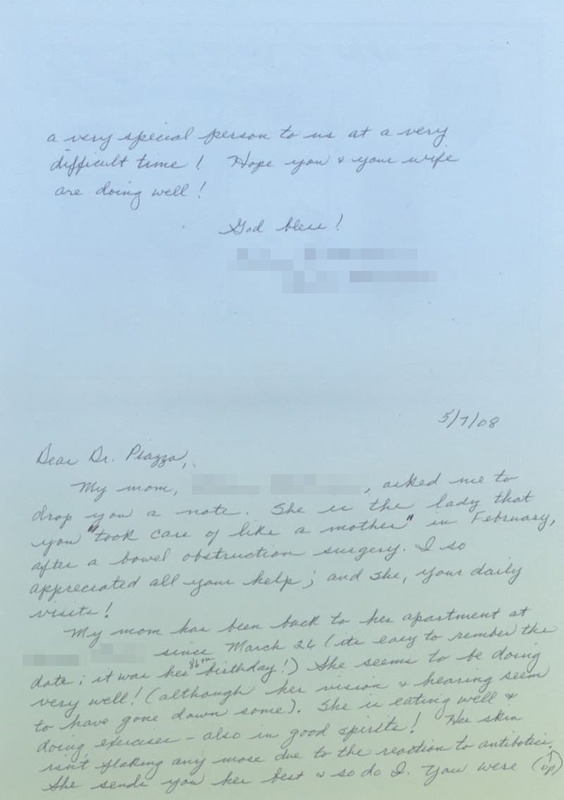 The cost was reasonable, mid-range based on my research of plastic surgeons in the area, but adding in the value of Dr. P's personality, expertise, concern for his patients, and staff.... It was a bargain! Choose this team and you'll be making the right decision. 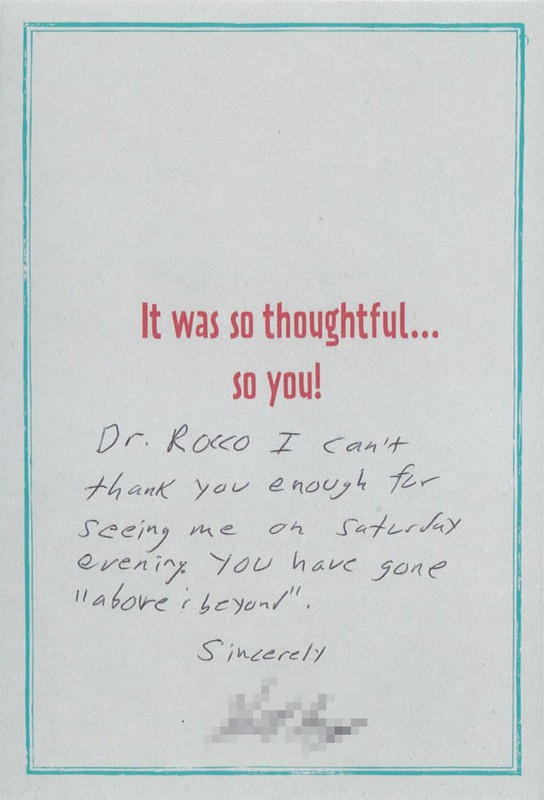 Dr. Piazza and his staff made me feel very comfortable and happy before, during and after my surgery with him. I would gladly go through this process again with them. I'm a breast cancer survivor. Dr Piazza is working with me on my reconstruction. He and his staff has been a blessing to me and many other breast cancer survivors, giving us back some hope by helping us feel and look like normal. They truly are miracle workers. Dr. Piazza and his staff are the best - caring, warm, respectful and of course, very knowledgeable and skilled. It doesn't get any better. Please pass on my thanks to Dr. Piazza, you and all of your staff for the wonderful care that you have given me the past couple of weeks. All of you have been so wonderful and I look forward to a continued relationship with you all, as I plan on using my lovely gift certificate for some Botox to correct the Grand Canyon crevasse that I have on my forehead. As I told Dr. Piazza just before my surgery, I was nervous about the procedure but I have NEVER been nervous about the care and concern that I was getting from him and his staff. I continue to have the utmost faith in his expertise and the care that I have received from him and all of you. The only issue that I had that was very unpleasant was that I had to cough yesterday and I thought I needed to order my casket. Lordy, that hurt. But I survived. ha! Please give my best to Dr. Piazza and all of your staff and I look forward to seeing you next week when I will have turned the corner. I just might be moving faster than Tim Conway in the old Carol Burnett shows. As a patient, I can say that Dr. Antunes is one of the most caring, considerate, and knowledgeable doctors that I’ve had the opportunity to come in contact with. His bedside manner is second to none, he makes you feel like you matter, and he takes his time in office to make sure that you leave with a positive personable experience. He takes time to explain the visit so that you’re knowledgeable on the issues at hand. I think above all, you know that he does what he does for the purpose of truly helping others. So compassionate, and he has a heart for people. Where so many look at you as a number, Dr. Antunes does not. He has most certainly left a lasting impression, and I would highly recommend him to anyone. Dr Antunes is an excellent physician. He was very thorough with explaining ahead of time what he was going to do and assured me that he takes as long as needed to get the best results with surgery. You can't even tell I've had anything done. He was available to me all hours of the day and night if I had concerns or questions. He really cares about his patients. In this day in age, that's very rare. I would highly recommend him to anyone looking for a good surgeon. I had the best experience with Dr. Antunes. The best doctor I've ever had. I came to Dr. Antunes with interest in a rhinoplasty. I explained how self-conscious I was about my nose and he took his time to figure out exactly what I wanted and needed done. His bedside manner was phenomenal. I came to Dr. Antunes with interest in a rhinoplasty. I explained how self-conscious I was about my nose and he took his time to figure out exactly what I wanted and needed done. His bedside manner was phenomenal. He was there at any hour of the day or night if I needed him. He was very caring, professional, and thorough in his work. Dr. Antunes has made me feel more confident about myself and I couldn’t be more pleased with the outcome. I would highly recommend him to anyone. Thank you for everything!! Dr. Antunes is the best of the best. The most amazing bedside manner! He's just a genuinely nice person. I love that he gets to know his patients and really takes time to listen. He's extremely knowledgeable and made me feel very comfortable. I highly recommend him! Dr. Antunes was attentive and detail-oriented the whole way! He was incredibly helpful and comforting. I was nervous at having an invasive and life-changing procedure, and he provided the support I needed. I would recommend him a hundred times over! Dr. Antunes performed a revision nose surgery after ~20 years from my previous one. It's been a few months since I had my procedure with Dr Antunes. I was very pleased with his work: Every time I see him, I say, ‘I can breathe!’ So yes, he fixed my breathing issues, but more so than being a great surgeon and carrying for my health needs, I'd like to point out that his bedside manner is like no other. He listens to his patients. That started in his consult room when I first complained about my issue and lasted through surgery and postop (a few months). As patients we like to know that our caregivers are the best medically (which he is), and care for us as individuals, know us by name, and return our calls when needed. I've experienced all this with Dr Antunes. Dr. Antunes is an outstanding doctor. He is warm, caring, and thorough in all of his work. I would highly recommend using Dr. Antunes. Dr. Antunes and his staff were very professional, proficient, and caring. My surgery went smoothly; I had almost no discomfort. Dr. Antunes obviously cared about me as well as the outcome. If I ever need his services again, I would not hesitate to call. Dr. Antunes has changed my life 360 degrees, in the most positive way. This is my story if you're considering nose surgery. Before, I had very low self-esteem due to my nose, I didn't like pictures of me, I would always looked down, I would spend time trying to fix it with makeup, not only the appearance was bad, but I couldn't even sleep because of my deviated septum. Until one day I started to plan surgery, but all the doctors said they could do very little; the worst part is that it was only cosmetic and very expensive. My hopes went down, until I saw a video of Dr. Antunes. He made me have hope that I could change my nose. I made an appointment and that's when my dream came true. He is the best doctor and person I ever met. He is so dedicated and so passionate about his job and he actually cares about his patients. The surgery went so well, I didn't feel a thing. I'm so satisfied with the results, people who knew me are so shocked how much I changed. I always get compliments. It looks so natural and perfect for my face, he did an amazing job. I love my nose. The best thing is that I can breathe normal and sleep better. If you feel this or experience this, make an appointment with him. I highly, highly recommend him. The best part is that my insurance covered most of the surgery because I had so much medical problems too. Even though the cosmetic part I had to cover, I think it was not that much, and it was so worth it. We should love ourselves the way we are, but if we have a chance to feel happier, why not? I feel so grateful, because I have the results I wanted and I feel healthier, which is important too. I am so pleased with my experience with Dr. Antunes during the entire process of eyelid surgery, from initial consultation through post op visits. I am thrilled with the result, and not only has my peripheral vision issue been resolved, but I also look more fresh and bright. The procedures and recovery process were explained in detail, and I felt totally comfortable asking questions and receiving clear answers I actually comprehended. I highly recommend him. Great experience. He made my nose look better than it has in years. I have had many positive comments on it. I am grateful I was directed to Dr. Antunes. I went to Dr. Antunes for nasal surgery, BOTOX®, and fillers. Over the course of about 2 months, I had several appointments with him. During every visit and discussion, Dr. Antunes was one of the most compassionate and professional doctors who has ever cared for me. He listened to my concerns and questions with a true desire to understand, answer, and explain. My wife (who is a physician herself) attended one the appointments with me and was also extremely impressed with Dr. Antunes. I can't stress enough how comfortable I am with Dr. Antunes and the level of care he provides. I couldn't be happier with him or more comfortable. Truly, my biggest impression is how sincerely kind and compassionate he is. Dr. Antunes is gentle and professional, taking the time to actually listen to what you have to say. He explains everything thoroughly, answering all your questions and addressing your concerns. Dr. Antunes always treats you as if you are his most important patient. Dr. Antunes is fantastic! He has performed 2 surgeries on me, and I can't imagine having anyone else. He takes his time and truly listens to you. His empathy is unmatched, and he made sure I knew my complaints were valid. I highly recommend him! Excellent physician. I work in healthcare, and I have a high bar when it comes to bedside manner. I can honestly say this was one of the best experiences I've had with a physician. Dr. Marcelo Antunes is a fantastic doctor. I really felt like he cared about my situation. I was not able to hear out of my right ear before I had my appointment. He fixed everything and informed me how and why I was experiencing my ear issue. He is just a genuinely nice person. Would recommend this doctor to a friend.